"How Egg Surplus Affects You"
Allen's Alley first aired Dec 6th, 1942 and was a reoccurring sketch on The Fred Allen Show lampooning small town America. The sketch began with a monologue by Fred Allen and a conversation with his wife and fellow comedian Portland Hoffa. The duo was then whisked away to Allen's Alley where the met a colorful array of characters. 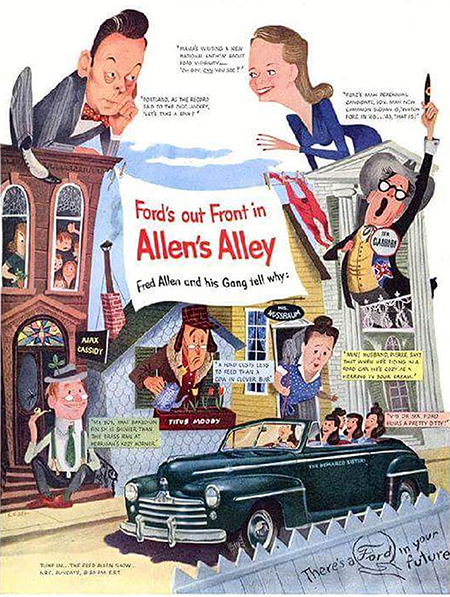 The characters on Allen's Allen were based on exaggerated stereotypes of small town Americans and were incredibly funny. Colorful characters include New England farmer Titus Moody (catch phrase "Howdy Bub"), Brooklyn housewife Pansy Nussbaum, irate Irishman Ajax Cassidy, and most famously of all Southern Senator Beauregard Claghorn who coined the catch phrase "That's a joke, son." Kenny Delmar based the character Senator Beauregard Claghorn on a real Texan that he met while hitchhiking. The man had a bellowing voice and repeated everything he said twice. This character was so popular that Delmar made two recordings as Senator Beauregard Claghorn. The Senator's traits and likeness were taken by Warner Bros to create the animated rooster, Foghorn J Leghorn. 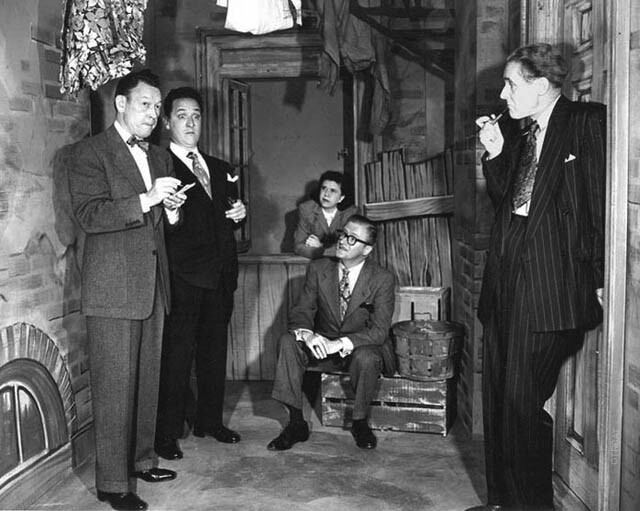 Allen's Alley starred Fred Allen and an ensemble cast of comedians including Portland Hoffa, Kenny Delmar, Minerva Pious, Peter Donald, and Parker Fennelly. Also included in the collection is a selection of Jack Benny Shows which feature take-off sketches of "Benny's Boulevard." See also: Fred Allen Collection and Fred Allen-Jack Benny Feud Collection.